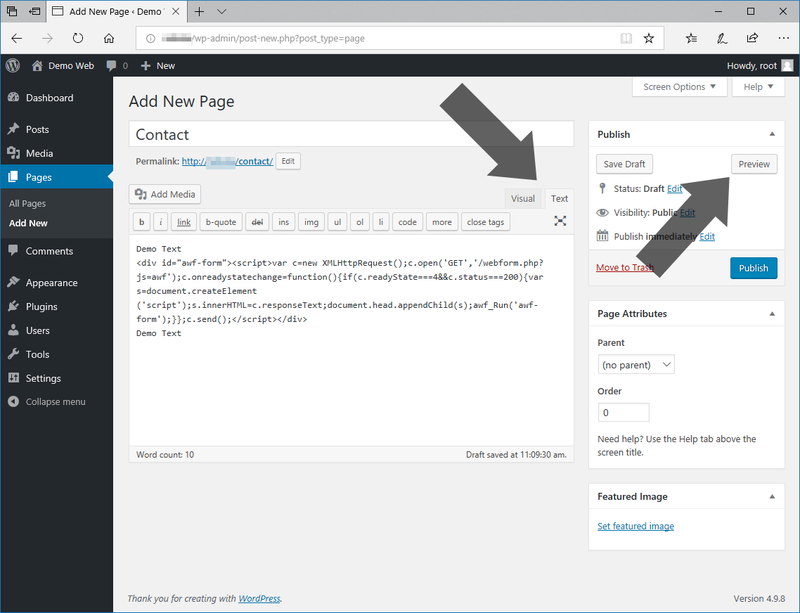 Typo3 and Drupal without using a Plugin or Extension. 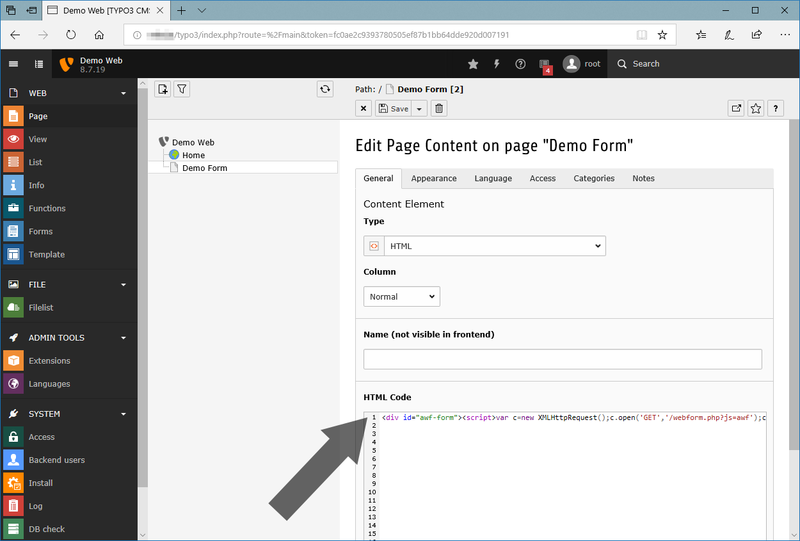 Arclab Web Form Builder is a visual editor for Windows PC that allows you to create web forms without programming. All you need to do is upload the php file generated by the program to your web pages and paste the displayed insertion code into the page into which the web form is to be inserted. It does not matter if you want to insert the form into an ordinary HTML page, php page, Wordpress Page, Joomla Article, Drupal Page or Typo3 Page ... it works almost everywhere. 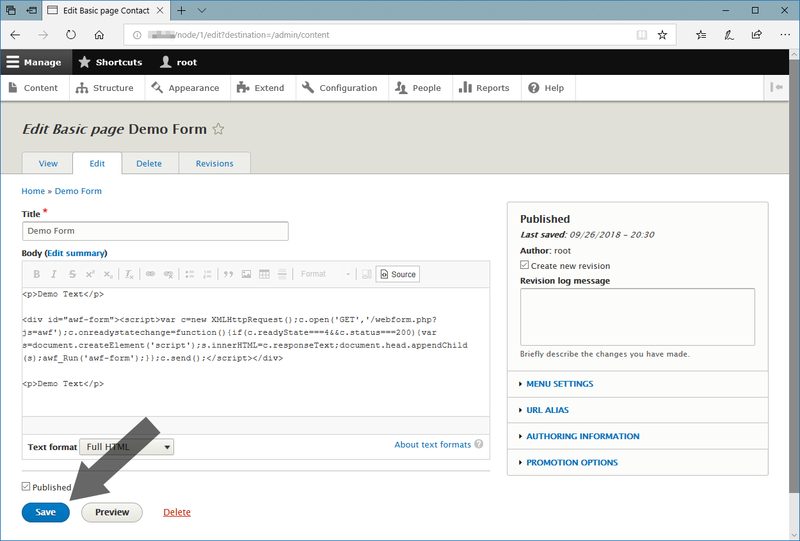 First create the actual web form in the program or use the integrated "Easy Form Wizard" to create a simple contact form. 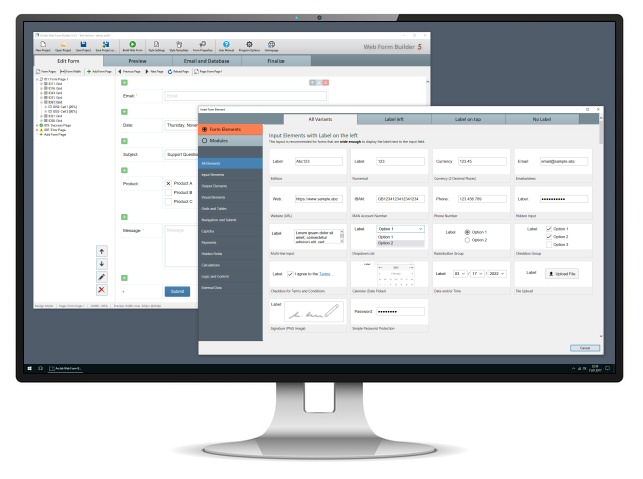 The form data can be sent by email or written directly into a MySQL database. After completing the form, all you have to do is click "Build Web Form" and the program will generate a php script containing the complete form and code to process the data. Now upload the php script file created by the program to your web pages. 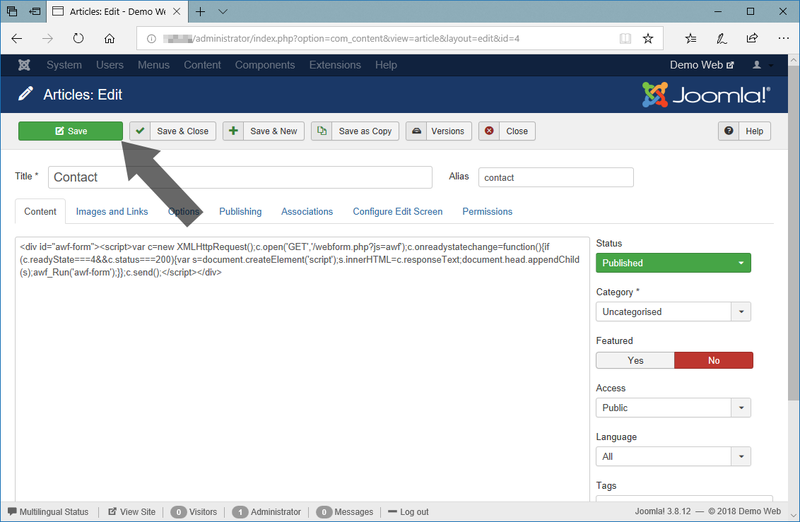 Finally, copy/paste the insertion code into the host page. You can fully evaluate the program using our test version. The test version contains all features, but brands the form pages with "Test-Version". You can download and test the software as long as you want on your own website (no registration required).